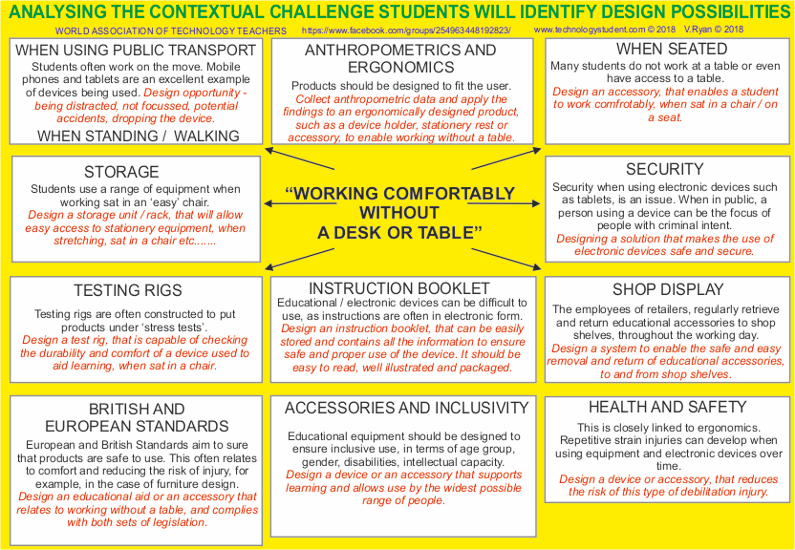 A 'Contextual Challenge' is normally given to you by the Examination Board. It can be considered to be a general theme, from which you need to identify a genuine design problem to solve. Examination Boards often publish a number of contextual challenges and then you select one or more and investigate them. There are many ways of analysing a contextual challenge. Below is just one example. Quite simply write the context in the centre of a design sheet and identify design opportunities. By the end of this exercise, you should be able to select one design problem, to solve through the production of a portfolio, composed approximately of twenty pages.